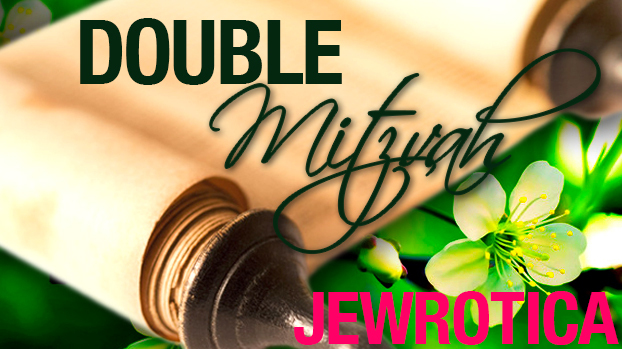 Check out last week’s column, Double Mitzvah – Toldot. First: yes, he really did say it. Wrote it, in fact, as the abstract to a 1938 paper. Among the things I’ve always loved about Albert Einstein is his delicious sense of humor. 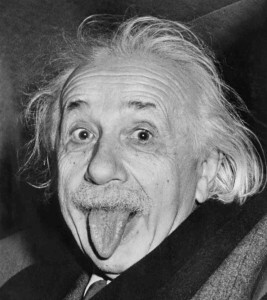 I mean…this is the guy whose name is synonymous with “genius,” and just look at him on his seventy-second birthday! Among the things I’ve always loved about this week’s parashah, Vayetzei, is its obvious understanding of relativity, and the way in which it uses the very same example as Einstein did to explain it: “So Jacob served seven years for Rachel and they seemed to him but a few days because of his love for her” (Genesis 29:20). Let’s remember what transpires before we learn of Jacob’s love for Rachel: he has left his family in the Land of Israel, both to stay clear of his brother Esau’s rage and to please his mother Rebecca, who wishes for him to marry a “member of the tribe.” He dreams the famous “Jacob’s Ladder” dream (Genesis 28), and then…. Jacob “lifted his feet” (i.e., journeyed on) and came to the land of the Easterners. He looked, and behold: a well in the open. Three flocks of sheep were lying there beside it, for the flocks were watered from that well. The stone on the mouth of the well was large. When all the flocks were gathered there, the stone would be rolled from the mouth of the well and the sheep watered; then the stone would be put back in its place on the mouth of the well. While he was still speaking with them, Rachel came with her father’s flock; for she was a shepherdess. And when Jacob saw Rachel, the daughter of his uncle Laban, and the flock of his uncle Laban, Jacob went up and rolled the stone off the mouth of the well, and watered the flock of his uncle Laban. Then Jacob kissed Rachel, and broke into tears (Genesis 29:1-11). Jacob, like his father before him, meets the love of his life in a “love at first sight” moment, performing a super-human feat of strength in rolling away a large stone from the mouth of the well (endorphins are powerful things!). His kisses and his tears suggest a man who feels deeply. The years which pass like days as he works off the bride-price only confirm that aspect of his character. Jacob is a romantic. is very different than popular culture’s portrayal of love, in which love is the pitter-patter of a heart, but that pitter-patter only lasts as long as it takes to cook a pop tart. Five minutes later, our attention drifts to some other infatuation. So we live in a culture with all these romances, passionate beginnings and frequent flammable finales. We read about the various stars and their love affairs, and we can read about their breakups and their new love affairs. That superficial, provisional appetite is not Covenantal love. But on this Shabbat, on this website, let’s take a moment to praise raw chemistry of the sort on display in the verses above. Let’s celebrate the passionate beginning, the racing heart, the kisses, the joyful tears, the days which pass like mere seconds. To time-bending love! Lechayim! Lechayim back at you! Thank you for another wonderful piece, Rabbi!